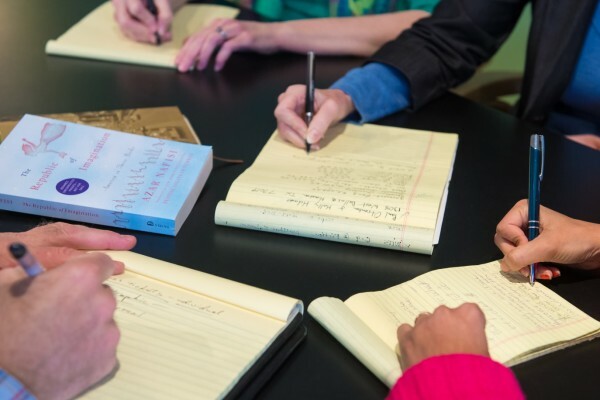 We often spend fiction writing workshops focusing on short stories or novels-in-progress. But what about the novella, which pushes the constraints of the short story at the same time as it avoids occupying the typical scope of a novel? This class will be dedicated to scrutinizing the form and exploring it in the best interest of the (long-ish) stories we aim to tell. How do we define a novella? As writers, what benefits are there to working on novellas? How do we handle the basic elements of story and plot, and what techniques from our reading can we use while working on a novella? In this class, we will address strategies for shrinking or expanding our writing and we will evaluate the kinds of stories that might best suit the novella form. We will read excerpts from a range of novellas, including ones by Henry James, Rachel Ingalls, Toni Morrison, and César Aira. Class will be centered around generative exercises, examining and discussing methods for writing novellas, determining what advantages this form affords the writer and, most importantly, the story he or she is attempting to tell. THEODORA BISHOP is the author of the novella On the Rocks (Texas Review Press), winner of a 2018 Next Generation Indie Book Award, and the short story chapbook Mother Tongues, winner of The Cupboard’s 2015 contest. Her poetry and short stories have appeared in Glimmer Train, Prairie Schooner, Arts & Letters, and Short Fiction (England), among other journals, anthologies, and exhibits. A Best New Poets and four-time Pushcart Prize nominee, Theodora Bishop holds an MFA from the University of Alabama and is pursuing her PhD at the UH Creative Writing Program and is the recipient of an Inprint C. Glenn Cambor Fellowship. Visit her website at theodorabishop.com.